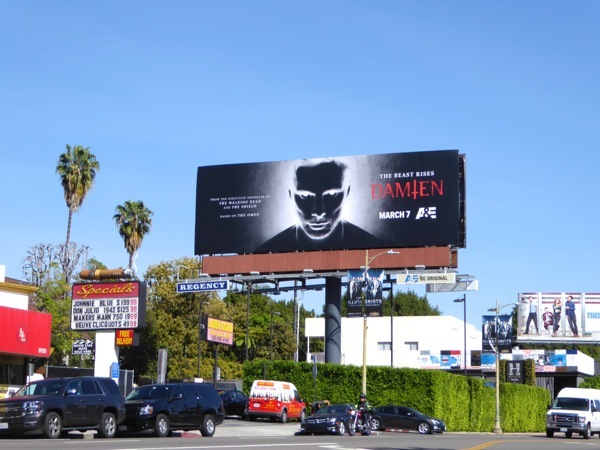 Are you ready for a new evil to rise on TV (and we're not taking about on the U.S. Presidential Election campaign trail either), as A&E brings the sequel to Richard Donner's 1976 supernatural horror thriller, The Omen, to the small screen. In this episodic TV series the grown up Anti-Christ is played by Bradley James, who has no knowledge of his past or legacy, and is now a photojournalist and funny enough, trouble seems to follow him wherever he goes. 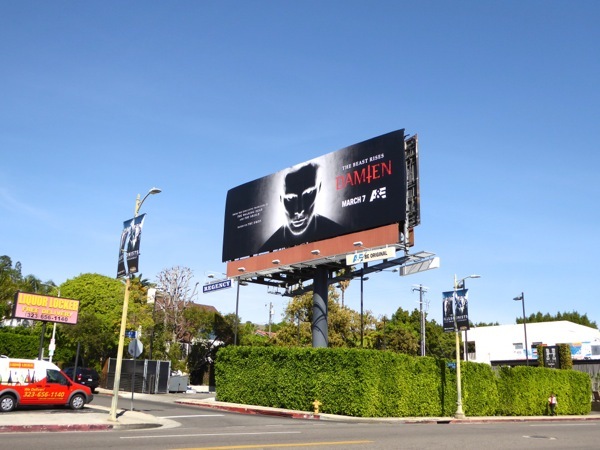 This photo negative style ad creative is spot on for the new series, deliciously dark and devilishly bewitching, and was snapped along Sunset Boulevard in West Hollywood on February 24, 2016. 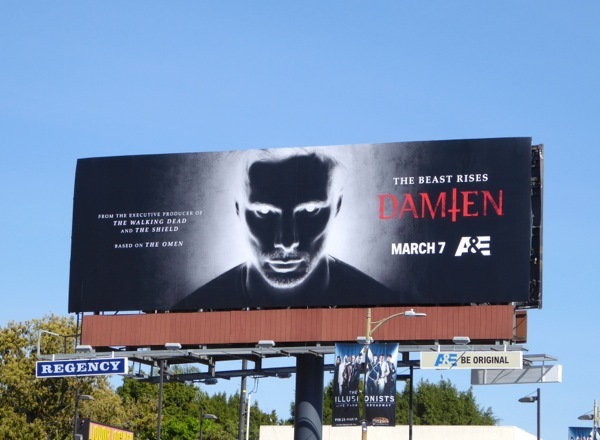 It'll be interesting to see how they can make a whole series about the Son of Satan, surely he's not that much of a sympathetic character, but then again shows like Lucifer and Your Pretty Face is Going to Hell seem to pull it off in different ways. 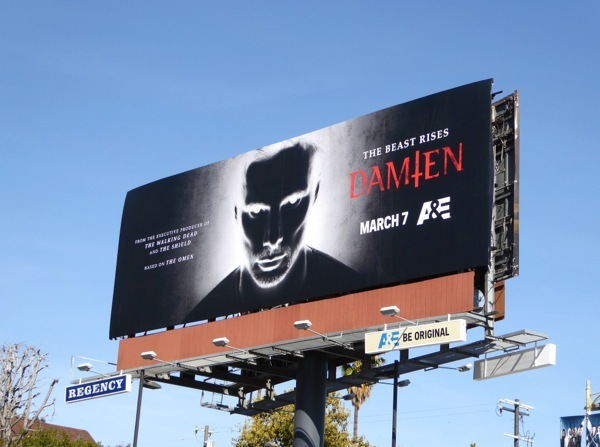 The new series has a compelling visual to help attract viewers, so let's hope Damien itself is hellishly good television and shouldn't have just stayed buried in the fiery pits of the underworld.